I was born in an apartment building on S 19th St near 16th Ave. Our parents would take my brother and I to West Side Park for picnics and in the winter time, as we grew older, my brother and I would sleigh ride down the hill, across the gravel road and try to cross the frozen pond to the other side. Summer, families would gather on the roof with mattresses, sheets and blankets to keep cool. Of course, Witch Hazel was for the bites. 4th of July, everyone on the roof to watch the fireworks from Olympic Park and other towns. The Hoffman bottling plant down the street. I attended S 19th St. school but do not remember when we moved to Bragaw Ave. and attended Bragaw Ave. School until 6th grade. Then to the newest Jr. High School, Clinton Place Jr. High. 3 stories, 3 towers with honeycomb classrooms. Olympic Park for the rides and the great swimming pool with a sand beach, Cohen's Knishes on Hawthorne Ave, belly whopping during the winter down Nye Ave. through the light at Bergen St. and doing it during the summer on our Union No. 5 roller skates. Growing up in Newark, dining out as a family, going to Newark Airport to watch the planes land and take-off, and being there seeing the first Boeing 707 jet. Weequahic Park, the boat house, rowing on the lake, being chased by golfers for taking their balls, vacation for 2 weeks in Bradley Beach. 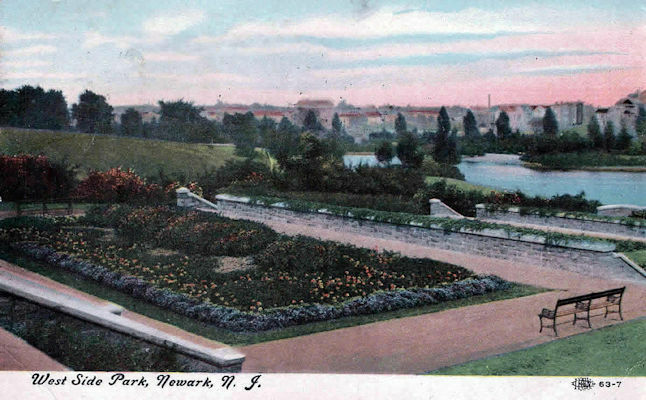 Yes, Newark and Jersey had a lot to offer. We moved in 1959 to Union Township and in 1965, I joined the US Navy, and was sent to my final station in San Diego, CA, "Fighter Town USA", known for TOP GUN. I returned to Union after service, but in 1972, I left Jersey for San Diego, giving up snow and ice for good. I still work and live in Alabama with my wife and 2 Beagles. My profession takes me across the South (my Dad was born in Shreveport, LA), and currently on a government project in Jacksonville, FL and yes my "family is with me". I do miss the gang from Clinton Place Jr High and my best long time buddy, 60 years, passed away recently. No I did not go to Weequahic High since I lived in Union, but kept in contact with some of my classmates for awhile.